~Are you exhausted by your work as a birth doula, wishing it was more enjoyable and sustainable? ~Do you yearn for a community of like minded doulas, coming together to take their work to the next level? ~Do you want to go deeper with your clients, but not sure how? ~Have you just completed your training and needing more support as you launch your practice? ~Do you crave the support of a knowledgeable, experienced and accessible mentor? All of this and more is available from the Deepening Doula Circle, beginning in March 2018. Being a doula is a career that can be deeply rewarding, inspiring and nourishing, yet it can easily become demanding, draining and even upsetting, without proper awareness, training, support and boundaries. Join the Deepening Doula Circle to learn the keys to a thriving, sustainable practice that supports and enhances your life, instead of consuming it! During this mentorship, you will join a circle of other doulas who are committed to growth, both personally and professionally, taking your career, boundaries and self care practices to the next level. This circle will provide you with a container in which to consciously examine your path as a doula, while you grow deeper in your relationship with your own power. 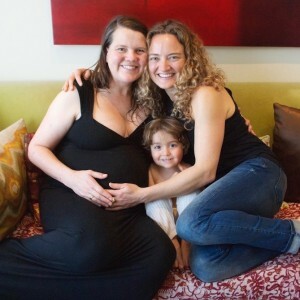 This circle is for doulas who are committed (or are ready to make a commitment) to an introspective practice of some kind, that might include yoga, meditation, shamanic journeying or any other form of prayer. This element is crucial, as our own practices will be the foundation of the way we show up in our relationships with our clients, offering them the inspiration to take their birth preparation to the most effective, embodied and empowering level. Helping other women to own their power can only happen when you are grounded in yours. Finally, as we sharpen our focus on our own values and wellbeing, we will gain insight into how to connect with the clientele that is most aligned with who we are and what we have to offer. We’ll explore how you can inspire your clients to engage deeply in preparing for the birth, so that the physical, emotional and time demands weigh less heavily on you as the doula. When we direct our clients to devote the time and energy in developing inner resources, reliable birthing skills and owning their process, they will have greater access to the transformative energy of birth. They will also develop more self reliance, confidence and ease in birth, preparing them for the emotional and spiritual challenges of parenting in the modern world. This model of care sets up both the clients and doula for a more satisfying and nourishing birth experience that ripples out into all aspects of life. To ensure your space in this transformative journey, register now! The circle is limited to 12 doulas. ~ Our journey together will begin with your intake questionnaire to help me understand your intentions for the mentorship and share the most pressing concerns and questions that you have about your practice. ~ You’ll have two 40 minute 1:1 meetings with me to go deeper into your questions and clarifying your vision as a doula. Either in person at my space or over the phone or Skype. ~ Circles will meet twice a month and will run for 2 ½ hours each, over the course of 3 months, in a cozy setting in Bernal Heights, SF. ~ Each session includes an element of nourishment, replenishment, rejuvenation and education. Rachel Yellin: How to help your clients go inward, get relaxed and connected to their power. Sandra Lloyd: Shamanic initiation ceremony for deepening your relationship with your own power. ~ A strong intention will be to provide equal support to each participant. ~ You’ll build lasting bonds and connections to other doulas with a similar outlook, with whom you can form partnerships and back up arrangements. ~ You’ll gain clarity about how you brand and market yourself as a doula to attract an abundance of clients with whom you are aligned. ~ Discounted rate on my Natural Portrait photography (for your own promotional photos) as well as usage of photos of pregnant and birthing families for your website. ~ One complimentary pass to my Tuesday/ Thursday Prenatal Yoga class, as well as a comp to either my Prenatal Partner Yoga and Massage or Conscious Birth Workshop. ~ Following completion, there will be opportunity to join my doula practice as an apprentice, primary referral, adjunct doula and/or back up. As a doula in San Francisco since 2000, I’ve been steeped in years of yoga, bodywork, Buddhism, hypnosis and shamanism explorations. My passion as a doula, mentor and yoga teacher is in teaching and practicing deep, conscious self care. One of my favorite topics is womens’ sexuality and the ways in which our relationship to our sexuality informs how we conceive and give birth. I have devoted my life to helping women prepare for birth and parenting through yoga, relaxation, self awareness and a steadfast dedication to their intentions. I’m currently working on a book about conscious birth preparation featuring my photography, writing and yoga teaching. I am committed to being outspoken, respectful, loving and joyful in the face of both the light and the dark sides of our work as doulas, women, educators and activists. To see a video of me talking about the program, please check out my blog. $950 for the In Depth package. This includes all of the above plus a 75 minute private Restorative Yoga session with me to deepen your self care practice, and a 75 minute Depth Hypnosis session with Sandra Lloyd. Completion of a doula training and attendance of at least 3 births (this may include the births of your own children). Thank you for sharing your hard earned perspective about your work as a doula, but also for taking the stand that you do. This light that you have shined is so valuable to me as a newer doula. You are really paving the way for us to do this work with a fierce protectiveness for the mother and high level of integrity.